Take your competence in psychometric testing to the next level with the gold standard qualification for the education profession – Certificate of Competence in Educational Testing – set by the British Psychological Society (BPS). All educationalists use tests to assess their students’ progress. The Certificate of Competence in Educational Testing (CCET) will help you to understand how assessments using psychometric tests are developed, how to use them effectively, and how to interpret the results. We will show you how to test appropriately, the available alternatives, and the best ways in which to use them. The Certificate of Competence in Educational Testing will enable you to apply for the BPS Test User Educational qualification and to join the BPS’s Register of Qualifications in Test Use – a publicly searchable database of competence that will bolster your professional reputation. Develop competence and confidence in educational testing. Discover how tests are developed and standardised so that you can identify and overcome barriers to learning. Gain the vital knowledge that will enable you to read, write and interpret reports, allowing you to better support other professionals, such as educational psychologists (EPs). Become familiar with theories about testing and psychometrics, including relevant statistical concepts. Learn how to administer, select and evaluate a range of educational tests and assessments in line with the Data Protection Act. Get to grips with the legislative and policy framework. Understand the purposes of testing and assessment and develop the ability to interpret test scores and integrate those test scores with other forms of assessment. Carry out an effective assessment of a learner and report the findings in a way that is intelligible to a lay person. Pass this module and you will be in pole position to achieve your Certificate in Psychometric Testing, Assessment & Access Arrangements (CPT3A) – an efficient route to becoming a Joint Council for Qualifications (JCQ) recognised access arrangements assessor. Simply complete our Access Arrangements Course (AAC) next to gain your CPT3A. You can either take this module online, or you can attend one of our bespoke intensive courses. Whichever route you take, you will be required to take the same assessments and produce a portfolio of evidence that demonstrates your competence. In short, the modes of delivery may be different (online or intensive), but the forms of assessment will remain broadly the same. If you are looking for an accessible and flexible option, then this path’s for you. You can start when you want to and work at your own pace using Campus Online. This cutting-edge, custom-built online learning platform places you at the heart of learning. It gives you unprecedented control over your learning; it enables you to interact with your tutors and peers every step of the way. Track your progress and take on board the latest learning and practice as you complete assessments and professional reports in your place of work. If you wish to complete this module quickly, you might prefer to attend an intensive residential course at a good quality hotel near you. You will receive tuition and take part in discussions and evaluation tasks that increase your competence. Naturally, you will have to do quite a bit of preparation before the course and apply your learning in practice afterwards. Find out more about the intensive route. Interested in a SOLD OUT date? Email us and we’ll place you on our waiting list. All intensive courses require a deposit of £500 + VAT to secure a place. Do you want to book a bespoke three-day CCET course for six or more participants? Save money, bring assessment skills in house. Ensure value for money from support services – with your improved ability to target and commission quality services. Be able to provide accurate and reliable evidence and advice to parents, colleagues and managers. Gain real expertise in the reading and writing of professional reports. 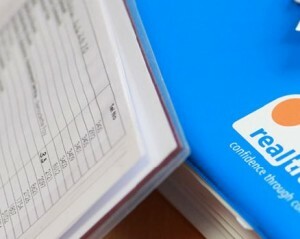 Register competence on the publicly searchable BPS Register of Qualifications in Test Use. Complete the extension module (AAC) and you will be able to write reports for access arrangements. Harness your day-to-day professional experience and work with your tutor to develop your skills. Theories, reflection and activities will help you to explore aspects of your own and others’ practice. Study online and integrate your learning into your working day. Take part in a flexible module that draws on a broad range of learning tasks and practical experience. Work closely with your peers and dedicated tutors online. Experience mentoring and work placements that really complement your learning. Utilise the latest video and multimedia content, case studies and problem-based scenarios, directed reading, structured learning logs, online discussion, online questionnaires, peer evaluation and webinars. As soon as you complete this module, you will be able to take AAC – our concise online extension module. Complete this and you will be awarded CPT3A. It’s as easy as that. Find out more about AAC. When you have successfully completed CCET, you will be able to apply to join our MEd SEND Programme as if you have 30 credits. Terms and conditions apply. Obtain exclusive access to Campus Online. Interact with your peers using our advanced learning platform and our unique student forum. We will ensure that you never feel lonely or unsupported in your studies. Enjoy dedicated specialist support from a broad range of experienced tutors. Receive expert guidance from us throughout the module. Our SENCOs and EPs know the education sector inside out. The online course can be started at any time. The intensive course dates are listed above and we usually hold at least six events per year. The course content reflects the core competencies determined by the British Psychological Society. Administering and scoring tests correctly and accurately. Maintaining security and confidentiality of the test materials and test data. Standardisation and how tests are created. Interpretation of data in comparison to the rest of the population. Test theory and reliability – how accurate and reliable are tests? Validity – how do we know what tests are actually measuring? Theories of intelligence and how they affect test construction. Test bias, influences on outcomes, and making adjustments to accommodate disability – including anti-discriminatory practice. Choosing tests that meet your needs and are fit for purpose. Making good decisions about using psychologist tests. Interpreting test data and utilising it correctly and wisely. Providing written and oral feedback to clients and their carers. Using and understanding alternatives to test data. Multiple choice questionnaires on the purpose and types of assessment and statistical principles. A paper on the statistical principles that underpin psychometric tests. A critical review of an educational test in line with European standards. A written paper on intelligence testing and discrimination. Video evidence of test administration competence. A comprehensive written report of an assessment, including test scores from at least two administered psychometric tests. Video evidence of competent oral feedback to a client or the client’s parents/carers. As it’s an open-access course, you do not have to have any previous qualifications to take it. This will be of particular interest if you work in the education sector and administer tests. You will need access to educational tests (or the willingness to acquire them) and will also need to be able to use tests in an educational setting. Mainstream primary and secondary schools. 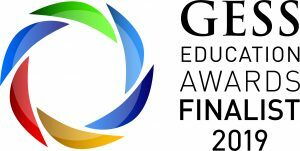 Independent and international schools and colleges. Are you based in an international setting? The online study option for this course can be completed anywhere in the world. We also offer face-to-face study options internationally. Please click here for advice on payment options and other information relevant to those studying outside of the UK. How can I access tests? For the purpose of The Certificate of Competence in Educational Testing, you will need to be able to access at least two psychometric tests, one of ability and one of attainment. There are various places to buy tests. 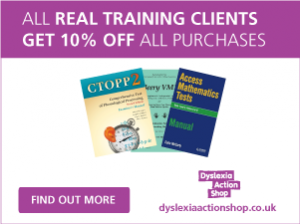 Real Group runs the Dyslexia Action Shop which sells many of the most popular tests from the main test publishers in the UK and USA. We offer delegates a 10% discount. Another option is to join the Professional Assessment Programme Test Loan Scheme. To find out more, please click here. Please note: we have no control over the rules that publishers use to decide who is eligible to buy their tests and we will need to follow their guidance when selling tests. We may need you to provide information regarding qualifications for us to check your eligibility. Online – £1,425 + VAT. Online by instalments – 3 x £500 + VAT = 1,500 + VAT. Online by instalments (Direct Debit, UK clients only) – 10 x £155 + VAT = £1,550 + VAT. Intensive non-residential – £1,850 + VAT. Intensive residential outside of London – £2,150 + VAT. Intensive residential London – £2,250 + VAT. You will need to pay a deposit to reserve your place on one of our popular intensive courses (currently £500 plus VAT). How do I pay for the British Psychological Society’s (BPS’s) Register of Qualifications in Test Use (RQTU)? You will need to settle this directly with the BPS. They will charge you a separate fee when you join their RQTU. While you are not obliged to do so, we strongly advise you to take advantage of the professional benefits of being on the RQTU. You will not need to pay the BPS any RQTU joining fee until you have completed CCET. Find out more about the costs, benefits and how to apply on the BPS’s website. Speak to us (01273 358080) or make a booking. Our brochure will provide you with additional information. From our CCET intensive (Oct. 2016).